Lana Del Rey never ceases to captivate her audience with her songs which are often gloomy-themed but rich in inspiration. The singer and songwriter always make it to the critics’ table of discussion, with regards to her recurring and inherent tragic and melancholic themes. She is widely known for her single ‘Video Games’ which was released in 2011. The song which was part of her major label debut ‘Born to Die’ was a massive hit which greatly shot the singer to prominence. She has since released other albums that have taken the Billboards by storm. Like most of her counterparts, Lana had a troubled childhood. She is not just a singer of melancholic-themed songs, there are other lesser-known facts about Lana Del Rey. She was born Elizabeth Woolridge Grant on June 21, 1985, in New York, to her parents; Robert England Grant Jr. Her father, and Patricia Ann her mother. Rey who has two siblings was raised a Catholic by her parents. Lana who attended a Catholic elementary started out by singing in her church choir where she was the lead vocalist. Lana started wallowing in alcoholism at the age of 15, an addiction that troubled her parents so much that they sent her out to resolve the problem. The singer confesses that she thought it was interesting to have a negative side until it turned into an addiction she could not control. She was sent to Kent School and afterward proceeded to the State University of New York at Geneseo. However, she left the school to work as a waitress with her aunt and uncle who lived on Long Island. Lana spent a year at Long Island learning how to play the guitar from her uncle. She soon discovered her singing and songwriting talents and duly utilized them for good. Lana started performing in clubs and small shows at the age of eighteen and had no plans of going commercial with her talent at the time. When she was nineteen, she got into Fordham, University and studied Philosophy. She met her breakthrough in 2011 when she uploaded videos of her songs ‘Video Games’ and ‘Blue Jeans’ on her YouTube channel which she created that year. The songs went viral and she was soon signed by Stranger Records. She then released ‘Video Games’ which became her debut single. The song which was a commercial success earned her lots of recognition and awards including a Q award for “Next Big Thing” in October 2011. Her debut album ‘Born to Die’ followed in 2012 with all singles dwelling on the Billboard Hot 100. Since her breakthrough in 2011, Lana Del Rey has garnered quite enough wealth in the course of her music career. The talented singer and songwriter has a net worth estimated at $18 million. This is quite befitting for the songwriter who never dreamed of going commercial with her rare talent. With the way she is going, this amount could be a trifling figure to Rey who is still steps away from the climax of her career. Given her sad themed songs and style of music, one would think that Lana Del Rey has no stories in her love diary. But the reverse is actually the case for Lana who like every other girl, has had her fair share of love hullabaloos. 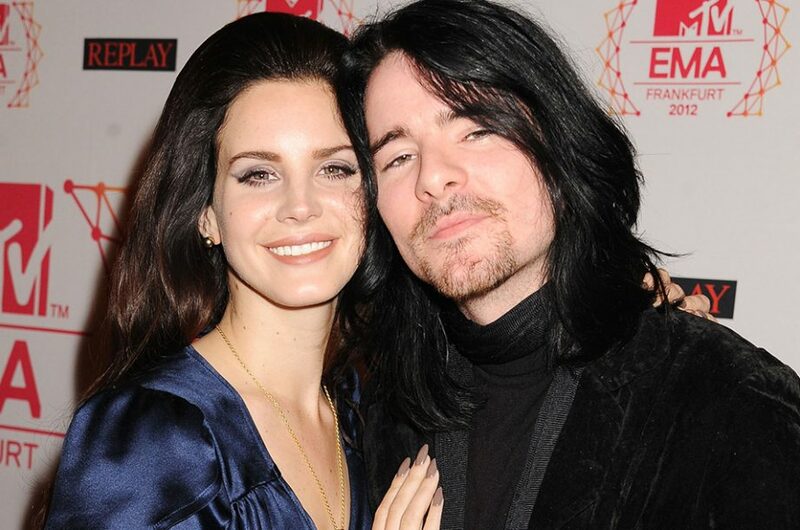 She was previously in a relationship with Barrie-James O’Neill of the rock band, Kassidy. The couple who started dating in 2011 called it quits after three years in 2014. She also dated her debut album producer, Steven Mertens. She also dated Gerald Gillum – G-Eazy in 2017, a relationship that lasted only a few months. See Also: Sufjan Stevens Biography, Is He Gay, Who is The Wife? Marriage rumors about Del Rey flooded the media in the early part of 2018 after a ring was spotted on the wedding finger of the ‘Blue Jeans’ singer in April. She was seen with a man whose name is still unknown and who has been reported to be her boyfriend or fiancé as the case may be. The ‘Video Games’ singer, however, has not responded to the rumors. Lana Del Rey may not be the fierce and sassy performer but she has a body that passes for that. With her beautiful smile which is well placed on a well-carved face and her nice curvaceous body, Lana is unarguably pretty. She stands at a height of 5 ft 6½ in (169 cm) which is quite proportional to her weight of 61 kg (134.5 pounds). Rey and her body stats of 34-26-34 effortlessly fit into size 6 (US) for her dresses.